Dr Malcolm Starkey is focussed on how early-life infections can lead to long-term health issues. Malcolm is an Australian Research Council (ARC) Discovery Early Career Research Award (DECRA) fellow at the Priority Research Centres for GrowUpWell and Healthy Lungs, based at the Hunter Medical Research Institute (HMRI). 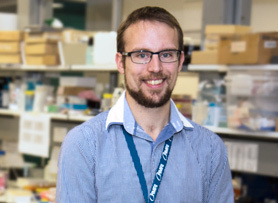 Previously a National Health and Medical Research Council (NHMRC) early career fellow, Malcolm’s research focusses on understanding how respiratory challenges in early life impair the development of the lungs and a healthy immune system. Exploring how these respiratory challenges could predispose individuals to chronic diseases such as asthma and chronic obstructive pulmonary disease (COPD, more commonly known as emphysema), is a key focus of his work. However, Malcolm is also exploring how the immune system repairs the kidney after injury and is investigating strategies to prevent the development of chronic kidney disease. An immunologist, Malcolm is using experimental models that seek to cement a mechanistic understanding of the early-life origins of chronic diseases. By using novel mouse models that recapitulate the hallmark features of human disease, his work has made important contributions and has led to the identification of novel therapeutic strategies that are under further investigations. "It can be difficult to recruit humans, particularly young children, for clinical trials," Malcolm explains. "You need to have a strong rationale as to why you're going to do these studies. 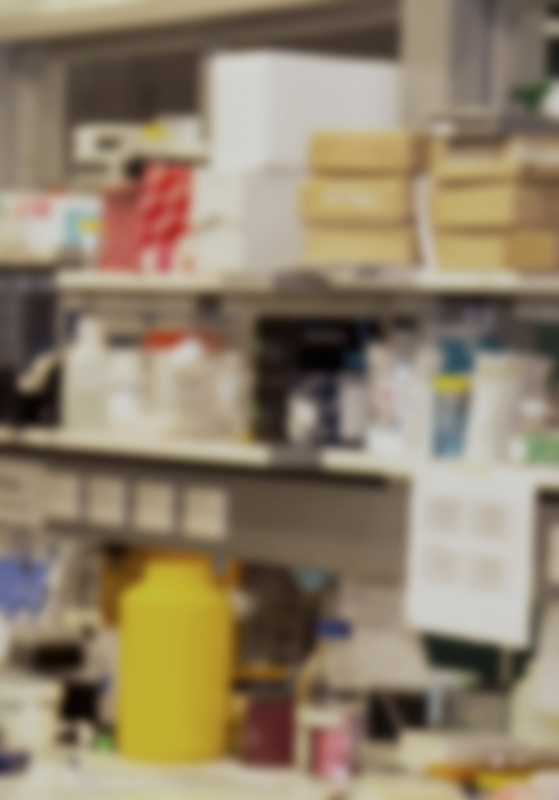 Our models provide pivotal preclinical evidence to justify this translational clinical work." Malcolm’s research has already made a number of important contributions to the field of understanding severe asthma and emphysema. Straddling the microbiological and immunological fields, Malcolm's projects stress the "multifactorial" nature of several airway conditions. His work also emphasise the urgent need to identify the roles played by bacteria and viruses in the onset and progression of respiratory diseases. "Using mouse models, we have learnt that severe respiratory infections in early life can trigger asthma and/or emphysema in adulthood," Malcolm says. "We've learnt that early life infections can cause irreparable damage to the lung, preventing normal healthy lung development and alter the way the immune system develops. It's really quite incredible." Acutely aware of the lack of therapeutic options available for these chronic illnesses, Malcolm is hoping his research will be used to inform the development of new and innovative therapeutic strategies for patients. "If we can't breathe, we can't function. We want people to breathe easy." Malcolm's research career began in 2008, when he undertook a PhD with Professor Phil Hansbro at the HMRI. Chiefly focussing on understanding the 'why' behind the 'what is,' the duo looked to figure out how infections predispose people to disease. "There's emerging evidence that some chronic lung diseases such as asthma and emphysema may originate from infections – contracted either as a newborn or an infant." Examining multiple molecular pathways, Malcolm sought to elucidate the effects of the transfer of Chlamydia from mother to baby during childbirth. "There is a cohort of neonates that are susceptible to this vertical transmission," he explains. “This is a vital stage because the lung is still developing. If the lung doesn't develop correctly, overall health can be negatively affected." Malcolm expanded upon this work after his PhD was conferred in early 2014, exploring the relationships between chronic airway diseases and infections. Concentrating research efforts on infections contracted in an early window post-birth, he is also studying the long-term effects of influenza, Streptococcus pneumoniae and nontypeable Haemophilus influenzae. "Neonates are particularly vulnerable," he describes. "The fetal immune system is altered in utero to prevent the mother's immune system rejecting the fetus during pregnancy," Malcolm says. "This contributes to an unbalanced and immature immune system in early life." "If you happen to be unfortunate enough to contract a series of respiratory infections in early life, you are more likely to experience lung problems in the long term." With recent clinical data showing some bacteria are important in this regard, Malcolm duly pursued this avenue of contemporary interest. "For some time it was thought that viruses cause this predisposition to asthma," he says. "As it turns out though, it probably doesn't matter whether it's viruses or bacteria – it can be both. It depends on many circumstances coming together, such as genetics, age of infection and the environment." "We have found that early life infections cause the production of disease inducing factors. These factors promote long term effects by altering the immune system as well as the structure and function of the lung." Malcolm's research has shown that therapies that target these factors may be effective new treatments for infection-induced chronic lung diseases. Hypothesising that certain bacteria and viruses have an impact on the whole body, Malcolm and his team are after scientific proof of long-term systemic effects, such as changes in lung structure and development, and inappropriate immune system responses in the body. Some of his more recent work has focused on viral exacerbations of chronic lung diseases. “Patients with chronic lungs diseases are more susceptible to the flu”. Malcolm and his colleagues and collaborators have discovered several novel mechanisms explaining why these patients are more susceptible to the flu. 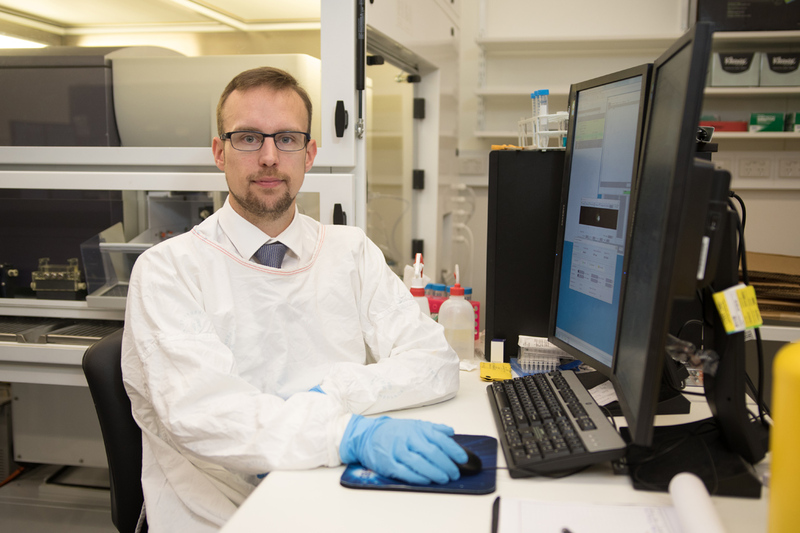 Still dedicated to investigating the interplay between early life infections and acute airway conditions, Malcolm is working to address his evolving, specialist area from multiple angles and is aiming to examine links between these insults (infections) and diseases in other organ systems. Exploring the factors that regulate innate lymphoid cells (ILCs) and their role in tissue maintenance and repair, Malcolm is leads a team looking to explore chronic kidney diseases. Around 1.7 million Australians have kidney disease, a condition which contributes to approximately 14 per cent of all Australian deaths. Working with a team of local and global researchers, Malcolm hopes that this research can play an important role in the understanding of this complex health issue. Recognised as a leading young researcher in the field of paediatric respiratory medicine after winning the internationally competitive Klosterfrau Grant for research of airway diseases in childhood in 2015, Malcolm points to "tailor-made, personalised medicine" as the science of the not-so-distant future, hoping to pinpoint more discrete subsets of patients and how he can better treat them. "A critical goal of our research is to understand what factors drive the development of chronic diseases and devise strategies to stop this from occurring." Dr Starkey is an Australian Research Council (ARC) Discovery Early Career Research Award (DECRA) fellow in the School of Biomedical Science and Pharmacy, Faculty of Health and Medicine. He is based at the Hunter Medical Research Institute as part of the Priority Research Centre's for GrowUpWell and Healthy Lungs. 11. He has also written (three) and contributed to multiple reviews and editorials in this field (*Curr Opin Pharmacol (IF=7, ERA=A), Expert Opin Invest Drugs (IF=5, ERA=A), J Devl Orig Health Dis (IF=2, ERA=C), *Clin Obst Gyn (IF=2, ERA=C), *Ann Am Thorac Soc, Thorax). Those marked * are as first author. He has an average impact factor of >7 and >85% of his manuscripts are in ERA ranked A*/A journals. His work has been cited >500 times since 2012. His achievements during his studies and early post-doctoral career have been recognised by over 20 awards/fellowships, including the prestigious NHMRC Early Career Post-doctoral Fellowship (Doherty), ARC DECRA fellowship, HMRI Early Career Research education prize, University Alumni awards, multiple communication awards, the Faculty of Health Honours Research Medal, international laboratory exchange awards, The Peter Phelan Paediatric fellowship, The Janet Elder International Travel award and numerous scholarships. Dr Starkey was recently awarded the internationally competitive Klosterfrau research grant honouring an outstanding young scientist in the field of paediatric pulmonology. He has presented his work at numerous international and national conferences and institutions including Harvard, Imperial College, University of London and Cardiff University. Our research involves the use of well-established models of respiratory bacterial and viral infections to understand the immunological mechanisms underpinning the development of chronic respiratory diseases such as asthma and emphysema. A particular interest is how infections in early-life predispose to disease in later-life. We are also exploring how respiratory infections exacerbate existing lung disease such as asthma and chronic obstructive pulmonary disease (COPD). We have models of Chlamydia, Streptococcus pneumoniae, Haemophilus influenzae, Influenza, Respiratory syncytial virus, Rhinovirus, and Pseudomonas aeruginosa respiratory infections that we superimpose with models of asthma and emphysema/COPD. We investigate the role of specific molecules in these systems using transgenic animal models (knock-out, knock-in, reporter systems) and inhibitory compounds (monoclonal antibodies, small molecule inhibitors) to identify potential therapeutic targets. We also adopt a translational approach where we take our key observations from our models and look for these molecules/pathways in human tissue. In more recent studies, we have become interested in the basic process underpinning normal mammalian lung development. We hypothesise that the immune system plays a currently unknown role in regulating stem cell maintenance and lung development. We are also investigating the role of innate lymphoid cells in kidney injury and repair. Lecturer, laboratory demonstrator and tutor of all levels of the B Biomedical Science program at the University of Newcastle. The supervisor of several summer scholarship, HUBS3409 (3rd year projects), honours and PhD students. Copyright © 2018 Pathological Society of Great Britain and Ireland. Published by John Wiley & Sons, Ltd. Lung development is a complex process mediated through the interaction of multiple cell types, factors and mediators. In mice, it starts as early as embryonic day 9 and continues into early adulthood. The process can be separated into five different developmental stages: embryonic, pseudoglandular, canalicular, saccular, and alveolar. Whilst lung bud formation and branching morphogenesis have been studied extensively, the mechanisms of alveolarisation are incompletely understood. Aberrant lung development can lead to deleterious consequences for respiratory health such as bronchopulmonary dysplasia (BPD), a disease primarily affecting preterm neonates, which is characterised by increased pulmonary inflammation and disturbed alveolarisation. While the deleterious effects of type 1-mediated inflammatory responses on lung development have been well established, the role of type 2 responses in postnatal lung development remains poorly understood. Recent studies indicate that type 2-associated immune cells, such as group 2 innate lymphoid cells and alveolar macrophages, are increased in number during postnatal alveolarisation. Here, we present the current state of understanding of the postnatal stages of lung development and the key cell types and mediators known to be involved. We also provide an overview of how stem cells are involved in lung development and regeneration, and the negative influences of respiratory infections. Copyright © 2018 Pathological Society of Great Britain and Ireland. Published by John Wiley & Sons, Ltd. Copyright © 2016 Russell et al. This is an open access article distributed under the terms of the Creative Commons Attribution License, which permits unrestricted use, distribution, and reproduction in any medium, provided the original author and source are credited. Introduction. Macrophage migration inhibitory factor (MIF) is an inflammatory cytokine associated with acute and chronic inflammatory disorders and corticosteroid insensitivity. Its expression in the airways of patients with chronic obstructive pulmonary disease (COPD), a relatively steroid insensitive inflammatory disease is unclear, however. Methods. Sputum, bronchoalveolar lavage (BAL) macrophages and serum were obtained from nonsmokers, smokers and COPD patients. To mimic oxidative stress-induced COPD, mice were exposed to ozone for six-weeks and treated with ISO-1, a MIF inhibitor, and/or dexamethasone before each exposure. BAL fluid and lung tissue were collected after the final exposure. Airway hyperresponsiveness (AHR) and lung function were measured using whole body plethysmography. HIF-1a binding to the Mif promoter was determined by Chromatin Immunoprecipitation assays. Results. MIF levels in sputum and BAL macrophages from COPD patients were higher than those from non-smokers, with healthy smokers having intermediate levels. MIF expression correlated with that of HIF-1a in all patients groups and in ozone-exposed mice. BAL cell counts, cytokine mRNA and protein expression in lungs and BAL, including MIF, were elevated in ozone-exposed mice and had increased AHR. Dexamethasone had no effect on these parameters in the mouse but ISO-1 attenuated cell recruitment, cytokine release and AHR. Conclusion MIF and HIF-1a levels are elevated in COPD BAL macrophages and inhibition of MIF function blocks corticosteroid-insensitive lung inflammation and AHR. Inhibition of MIF may provide a novel anti-inflammatory approach in COPD. Copyright © 2015 by the American Thoracic Society. Rationale: Chronic obstructive pulmonary disease (COPD) and influenza virus infections are major global health issues. Patients with COPD are more susceptible to infection, which exacerbates their condition and increases morbidity and mortality. The mechanisms of increased susceptibility remain poorly understood, and current preventions and treatments have substantial limitations. Objectives: To characterize the mechanisms of increased susceptibility to influenza virus infection in COPD and the potential for therapeutic targeting. Methods: We used a combination of primary bronchial epithelial cells (pBECs) from COPD and healthy control subjects, a mouse model of cigarette smoke-induced experimental COPD, and influenza infection. The role of the phosphoinositide-3-kinase (PI3K) pathway was characterized using molecular methods, and its potential for targeting assessed using inhibitors. Measurements and Main Results: COPDpBECs were susceptible to increased viral entry and replication. Infected mice with experimental COPD also had more severe infection (increased viral titer and pulmonary inflammation, and compromised lung function). These processes were associated with impaired antiviral immunity, reduced retinoic acid-inducible gene-I, and IFN/cytokine and chemokine responses. Increased PI3K-p110a levels and activity inCOPDpBECs and/or mice were responsible for increased infection and reduced antiviral responses. Global PI3K, specific therapeutic p110a inhibitors, or exogenous IFN-b restored protective antiviral responses, suppressed infection, and improved lung function. Conclusions: The increased susceptibility of individuals with COPD to influenza likely results from impaired antiviral responses, which are mediated by increased PI3K-p110a activity. This pathway may be targeted therapeutically in COPD, or in healthy individuals, during seasonal or pandemic outbreaks to prevent and/or treat influenza. 15 UON projects have been awarded over $5.7 million in ARC funding for Discovery Projects, Future Fellowships and Discovery Early Career Researcher Awards.